As the colder months came, we should adjust our diets in order to protect from the bacteria that can occur during the winter time, which is why we need to take care of what we consume and how we consume it. Which is why we give you this wonderful recipe for a soup that we like to call “medicine in a cup”. This miraculous soup will prevent from any kind of harmful bacteria and will keep your body full of nutrients through the whole winter. The Traditional Chinese Medicine, has always said that every ingredient that we consume relates to a specific function or part in our bodies. This means that every organism and body are not the same, no two people are the same. This is one of the reasons why you need to understand and listen to the signs and symptoms that your body sends you, give it the things that it needs. The Ginger can provide some warming effects to our body. Whenever you think of the summer, we feed ourselves with products like tomatoes or cucumbers, the things that may cause some cooling effects for us. But when it comes to the winter, we want to do the opposite, eat something that can cause warming effects to us, things like hearty soups, cinnamon and ginger. This recipe is a mix of ginger and garlic, and adding the garlic into the soup makes a perfect combo. 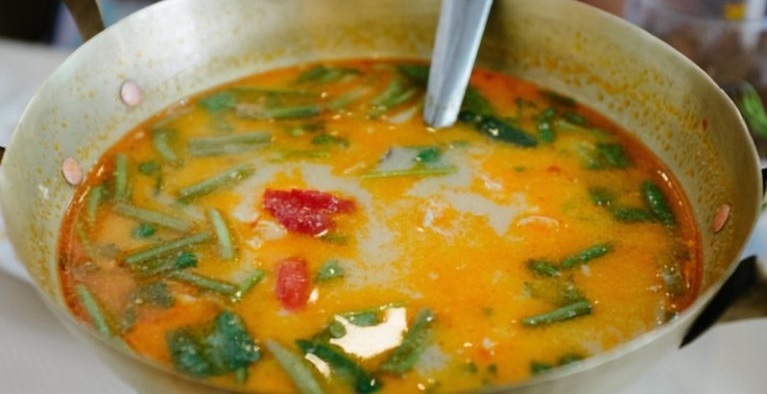 Therefore, the soup is able to protect you from cold, flu, sinus infections and many other diseases that can be easily caught during the cold winter months. This is the recipe we told you about, the perfect combo of Ginger & Garlic, that can provide warming, wholesome and hearty effects and still taste delicious. 1. Put the Garlic, onions, mushrooms (if there are any) and the ginger in a big pan and put it on low heat for a few minutes, and saute them. 2. Add the whole stock and continue to boil. 3. Stir very gently, until all of the ingredients become soft. 4. Last add the chopped chili, and stir for another 5 minutes. Then you can serve the soup while it is warm. Combine it with lemon water and crusty bread. This will provide more anti-bacterial effects and improve your digestion too. And there you have a tasty and hot winter meal, share it with your friends and family let them know how to protect themselves during the cold winter months.